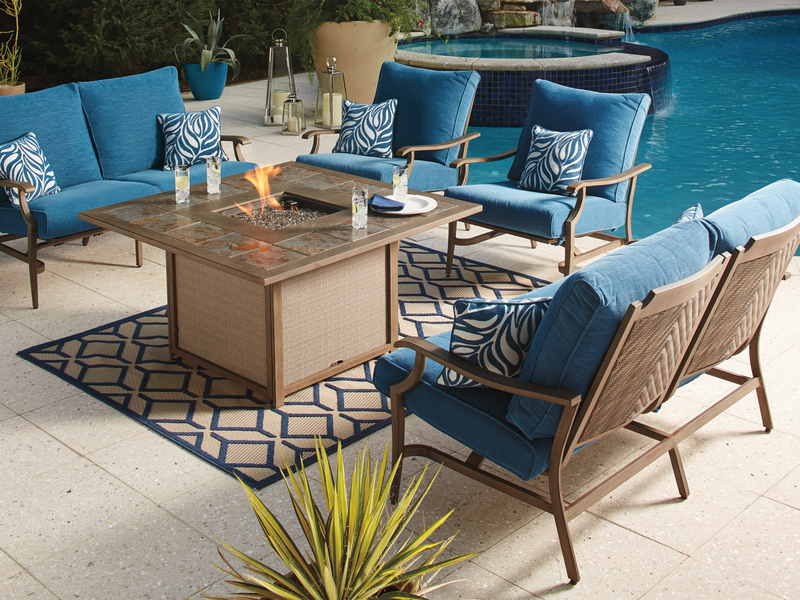 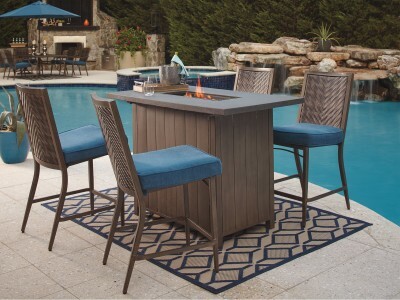 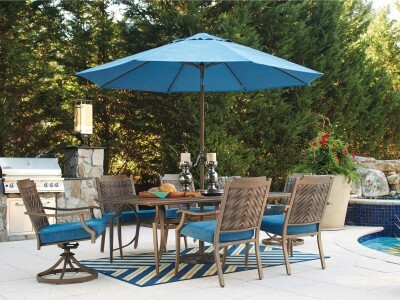 There's room for six at the graceful Partanna outdoor rectangular dining set. 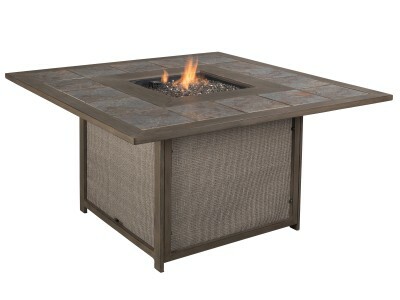 Its unique grainy resin surface has the look of weathered wood minus the maintenance. 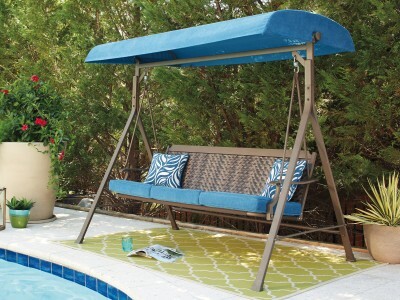 Rust-resistant base offers sturdy support. 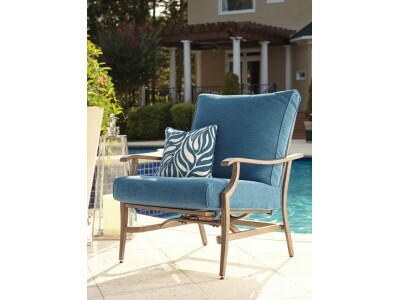 All-weather Nuvella™ cushions are colorfast and secure to the dining chair frames.